The S2000 is being killed by Honda. TOKYO -- First Honda killed the NSX sports car. Now the S2000 roadster gets the ax. The Japanese automaker confirmed press reports that it will stop making the two-seater in June, after a decade of production. Honda is cutting the rear-wheel-drive, four-cylinder S2000 because it would cost too much to make future generations meet environmental regulations in the United States, Europe and Japan, spokeswoman Yasuko Matsuura said today. 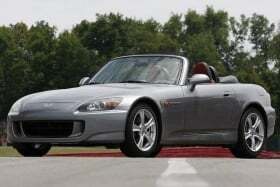 The S2000 was conceived to mark Hondas 50th anniversary. But the jaunty convertible won a fan following and became a regular in Honda showrooms. The model has sold more than 110,000 units worldwide since its debut in 1999. But sales of the 10-year-old offering tumbled 41 percent to 2,538 in the United States last year as the financial crisis dried up sales. Another casualty of the economic downturn was Hondas NSX high-performance car. Honda killed that car last month, saying it would focus on developing more practical vehicles. The Civic Type R, a sporty version of the standard Civic, is now Hondas sportiest offering. The CR-Z sporty hybrid is due for the 2011 model year.